It can be difficult to gain a balanced perspective on an album after reading a single summary of the music. Bias can tilt a review, as can personal taste, history and just about everything else that is unique to the person writing it. So in an effort to offer an expanded perspective in such a medium, here are three reactions, three impressions, three takes on The Magic Whip by Blur. Twelve years has been a mighty long lead up for those who wanted to see the original Blur lineup back in full form. Granted to many, Think Tank wasn’t the band’s initial return per se, since Coxson was battling some addiction, but it definitely was in the similar vein in a lot of ways to the work Albarn was already doing with Gorillaz. 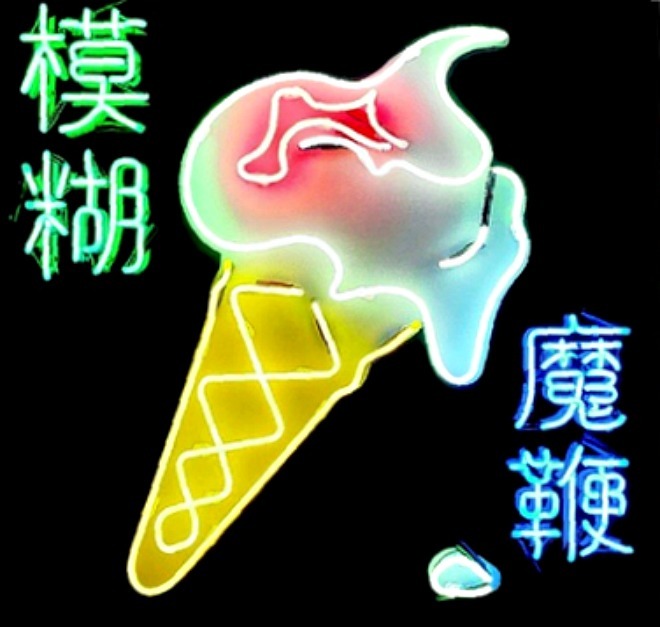 With The Magic Whip, Blur returns with all original members intact, and while it may represent the dreary and simple aesthetics presented on Albarn’s solo album, Everyday Robots. Kicking things off with the fun and energetic “Lonesome Street,” the track listing keeps a slower paced, yet steady, stark, and syrupy smooth throughout with tracks like “New World Towers,” “Ice Cream Man,” and “Thought I Was A Spaceman.” However, there’s many other midtempo and sparse arrangements on such tracks as “Go Out,” and “I Broadcast.” When one arrives to the tail end of the album with tracks like “My Terracotta Heart,” “The Ghost Ship,” they find the synergy between the upbeat and the darker and stark aesthetics they’re aiming for, especially on the highlight “Pyongyang” and the infectious “Ong Ong,” making for a welcome return to form. While the lapse in time has created energetic starts and immediate slowdowns, the band at its core never misses a beat, and it definitely makes The Magic Whip a welcome return to form for the most part. The U.K. Rock scene was once dominated by young lads strapped with guitars and mop tops. As times changed many of bands stayed in the same lane. Others welcomed new technology and transformed themselves. Blur is feeling backwards while looking forward. The band’s leader, Damon Albarn, has went on to develop Gorillaz, The Good, the Bad & the Ugly, and Africa Express, as well as his own 2014 solo record. There’s also a batch of records from guitarist Graham Coxon. It’s great to have Coxon back on deck and fully engaged within the band. In 2015, Blur return with The Magic Whip, in rather great shape as they have refashioned themselves. On Blur’s long-awaited eighth album, the feeling is incredibly Blur, marching forward, doing their best version of themselves of 1995. Nothing genius or earth shaking, but successful in its execution of joy. Opening with the swagger rocking trio of “Lonesome Street” with hints of soul, “New Word Towers” carried by Coxon’ off-kilter riffs as Albarn sings “For a moment I was dislocated by terror on the loop elsewhere,” . There’s the strut and prances of “Go Out”, followed by “Ice Cream Man”, where Albarn recalls his memories of the Tiananmen Square protests. There’s the experimental “Thought I Was A Spacemen” and “I Broadcast” which makes a valid attempt to pick things up. The majestic “My Terracotta Heart” is a stunning ballad that deals with the bands interpersonal relationships. The the lovely march of “There Are Too Many Of Us”, the dub stutterstep of “Ghost Ship” before paying tribute to darkness of the North Korean capital on “Pyongyang” . The Magic Whip closes with the emotional “Mirroball”. The Magic Whip confirms that Britpop’s golden boys are back and it’s good to have Coxon back on board as everyone wins. Although it’s slow pacing could use more of a jolt there’s a reserved beauty thats feels satisfying and familiar. Blur works just fine in 2015, a time when a band can return years later to recapture the finest of its former self. After a long break, some bands come back as if frozen in time, the sound they became famous for 5, 10, 15 or even 20 years before simply continuing on tape as if it had been locked in an airtight time capsule. Blur, and particularly front man Damon Albarn, have soaked up every minute since the band last released a LP (Think Tank, or further back with the original lineup, which are all back in the fold for this LP). While it is the classic lineup that produced the gems in the Modern Life is Rubbish/Parklife era, but it is impossible to miss the influence the last decade has had on Albarn, especially his work with his adventurous cartoon pop group Gorillaz. Especially on tracks like the string-laden “There Are Too Many of Us,” the beeps and hisses saturated pop of “Ice Cream Man” and the hazy, gloomy balladry of “Thought I Was a Spaceman.” Sure, there are guitar driven remnants of Britpop like “I Broadcast,” but this albums feels like Albarn getting the gang back together to continue his warped (& genius) journey to the outer realms of popular music. It is a fun, well crafted, easy to like album, but if you were looking for a follow up “End of the Century” or “Country House,” this album will probably sound off the mark to you. If you’re willing to allow that the band, and especially Albarn, have changed significantly over the last decade and a half, then songs like “My Terracotta Heart,” “New World Towers” and “Lonesome Street” should be able to nestle up nicely next to the great back catalog from this band, even if they may not have a ton in common other than the gentleman makng the noise.